More and more public health teams are looking for solutions that will allow them to carry out their mission at the point-of-need. 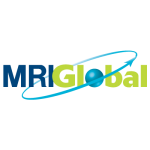 A research team made up of representatives from MRIGlobal and the University of Florida – Florida Medical Entomology Laboratory was able to demonstrate the field effectiveness of tools like the Biomeme two3 and the MinION from Oxford Nanopore Technologies. The team has released a preprint article which contains their findings entitled “Unbiased Strain-Typing of Arbovirus Directly from Mosquitoes Using Nanopore Sequencing: A Field-forward Biosurveillance Protocol“. 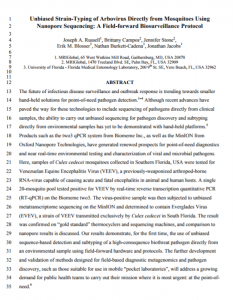 The research team was able to test for Venezuelan Equine Encephalitis Virus, VEEV for short, using the Biomeme two3. VEEV is a RNA-virus capable of causing acute and fatal encephalitis in animal and human hosts. The virus is so pernicious that, during the Cold War, both the U.S and Soviet biological weapons programs researched and weaponized VEEV. At Biomeme we aspire to enable researchers and organizations to explore the biological world. Any Biosurveillance effort is important: however, one that limits the ability of a harmful biological agent to spread is exceptionally important. We are honored that our platform was able to aid in the execution of this project. You can read the article’s full text here.